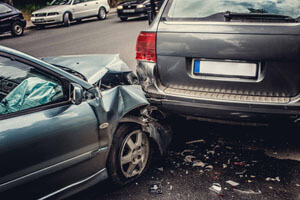 How Much Compensation Can I Claim For a Road Traffic Accident? Every year, thousands of people are involved in road accidents involving cars, buses, motorbikes and lorries. If you’ve been in a car accident, a personal injury team will be able to put together a legal claim on your behalf in order to claim you compensation. The amount of compensation that is able to be claimed will depend on the type and severity of the injury you received, the effect that it has had on your life, as well as other things such as mental trauma caused or medical costs. Amounts per type of injury are set out according to the Judicial Studies Board (JSB). This board regulates minimum and maximum claim amounts which are used as a framework for specific types of injuries. We have broken down some of the compensation amounts for the main types of injuries when it comes to road accidents. People who have head injuries that have severely affected mental abilities will be able to seek the highest amount of compensation, as the injury will affect all area of the individual’s life. Compensation amounts for very serious head injuries that have left a person disabled and with no response to the outside world could be anywhere between £214,300 and £307,000. A very serious eye injury is classified as an accident that has left a person blind in both eyes or one eye. This type of injury is eligible for between £80,500 and £204,200 in compensation. People that have become deaf in both ears could be entitled to between £68,950 and £107,500. If you’ve suffered from facial disfigurements, scars, or fractures then you can claim between £13,700 and £74,000. Moderate facial injuries, that left light or no scarring are still eligible for up to £2,670 in compensation. It is worth noting that women with often receive higher compensation amounts for facial disfigurement compared to claims from men. If you have a very serious neck injury as a result of a car accident that wasn’t your fault, than you could claim up to £112,800 in compensation. If the injury has left you with severe back issues, such as partial paralysis or permanent damage to the spinal cord, then you may be eligible to claim between £29,450 and £122,300 in compensation. Shoulder injuries compensation amounts range from £300 to £36,450 depending on their severity and how much they affect your day to day life. If you have had to of had one of both arms amputated, then you could be awarded between $73,050 to £228,050 in compensation. Less serious arm injuries, such as breaks or fractures could be eligible for between £5,000 and £29,750 in compensation. Hand injury compensation ranges between £650 to £153,150 depending on the severity of the injury. Amputation of a finger may result in up to £69,050 worth of compensation, while a very minor injury that heals quickly could still be entitled to up to £650 in compensation. The highest level of compensation in the lower body category is available to those who have had to have legs amputated as a result of a car accident. If you have a very serious leg injury then you could be awarded between £74,450 to £214,300 in compensation. Knee injury compensation amounts range from £19,950 to £73,120. Even if you receive a minor lower injury, such as a broken toe, you still could be able to receive up to £7,300 in compensation. It is important that you have the right team behind you in order to put in a good claim, and ultimately receive the highest amount of compensation possible for your injury. While you can hire personal injury lawyers on a hourly or per job basis, we recommend choosing a no win no fee service. No win no fee means that you will not have to pay a single penny in legal fees unless your claim is successful. No win no fee also means that you lawyer will be working extra hard to ensure that you are compensated accordingly. As well as choosing the right lawyer or team, it is important that you keep all of your records and receipts relating to things you have had to pay for that relate to your injury. This can include things like medical bills and mediation, as well as invoices for car repairs and so on. Make sure that you store these documents in a safe place should they be required at a later date. If you’ve been involved in a car accident, and are thinking of claiming compensation, then you should contact a legal firm as soon as possible. They will be able to offer full advice as to how you can swiftly progress with your claim. This entry was posted in Road Accidents on 20th February 2016 by pinnacleadmin.